The thick bleach formula in Drano Max Gel Clog Remover cuts right through standing water, clinging to your toughest clogs to blast them fast. It works great to remove hair, soap scum, and other gunky clogs. Goof Off Power Cleaner & Degreaser works the first time on your toughest messes - including grease, grime, asphalt and tar. Great for paint prep, goes on white making it easy to see where it has been applied. No harsh fumes and safe for most surfaces. Use on plastic, concrete, wood, metal, stainless steel, vinyl and painted surfaces. An essential cleaner/degreaser for every painter, contractor, mechanic and do-it-yourselfer. 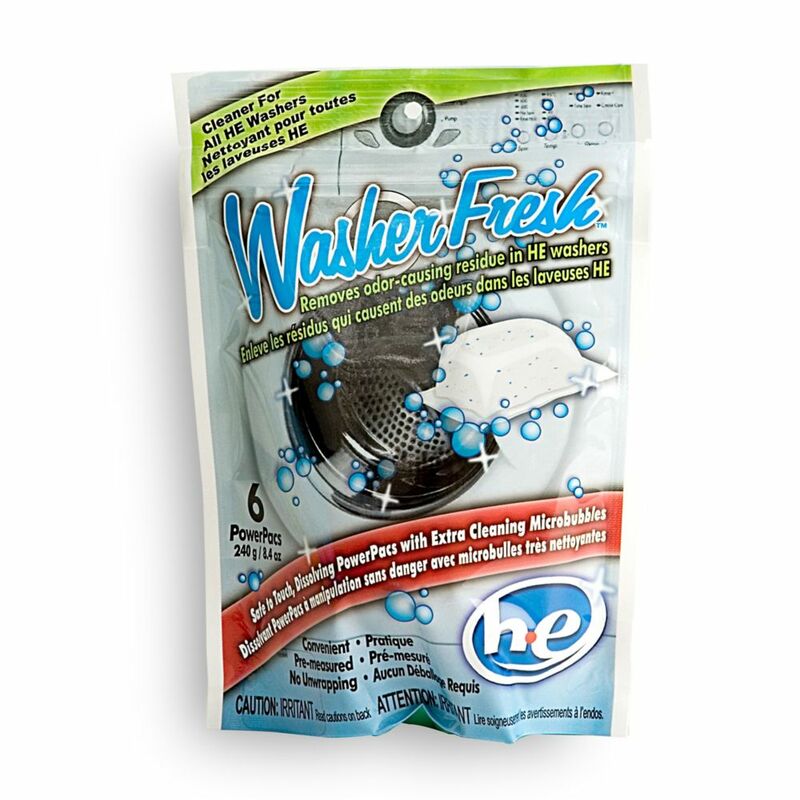 High Efficiency Washing Machine Cleaner & Refresher - 6 Pouch Fresh Products Washer Fresh is the safe-to-touch cleaning product that powerfully, safely and conveniently combats odour-causing build up in high-efficiency washing machines. Our Power Pack pouch contains a potent oxygenated bubbling action formula that is designed for high-efficiency washing machines and is proven to reduce odour-causing mild and mildew. Washer Fresh is safe to touch with no unwrapping required - just drop it in and your done. Our convenient pre-measured Power Pack pouches are a breeze to use and will keep your laundry smelling fresh and clean, wash after wash. Washer Fresh is incredibly cost effective - just use one Power Pack pouch per month. Washer Fresh dissolves completely, is septic-tank safe, environmentally friendly and biodegradable. 1 Package of Washer Fresh contains 6 Power Pack pouches.